Things didn’t quite go as planned for a couple of Wairarapa cricketers playing in the national T20 cricket final at Pukekura Park on Saturday. But one of them showed once again that he’s a force to be reckoned with on the national stage – and it wasn’t Jesse Ryder. 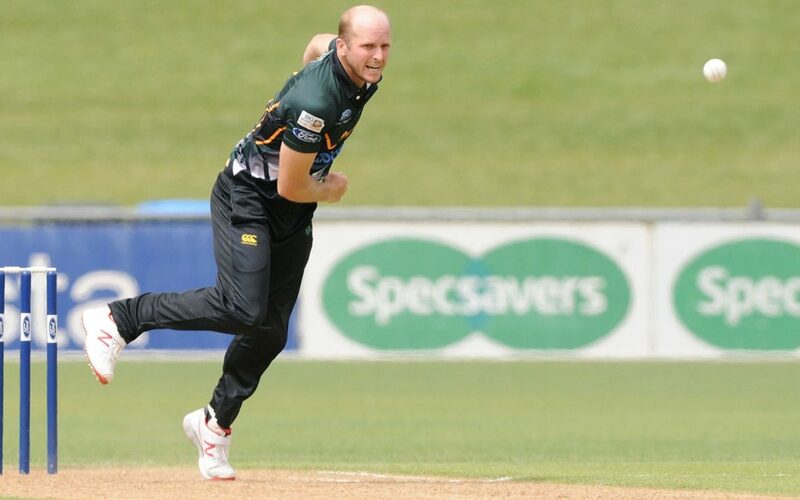 Ryder and pace bowler Seth Rance were on the losing side of the ledger on a sunny New Plymouth afternoon, as an aging Wellington Firebirds side managed to claim victory against their very good Central Districts Stags side. By all accounts the Stags should have won – especially after having had Wellington on the ropes early on at the tiny, picturesque ground. The Firebirds had also lost their first four games of the season, but battled back well to win six of their next seven. The return of Ryder to the Stags for just his second game of the campaign was a big talking point before the first ball was bowled. Predictable he was chosen as the player to be interviewed as the team went out to field. But despite the usual hype – and to be fair on his day there’s no one better – Ryder failed to score, departing for a duck after just four deliveries. Of the two locals, Rance is the one that people should be focussing their attention on. He is a classy player, and has been hugely influential and consistent through the Stags’ T20 campaign. Rance was used as a go-to bowler throughout the competition, and he finished the campaign with 15 wickets – tied with Wellington’s Brent Arnel for most dismissals. Rance even showed up for a couple of club games for Greytown at the start of the season, before making appearances for Wairarapa in the Chapple Cup in Hawke’s Bay, alongside Ryder. As Black Cap Mitchell McClenaghan said while commentating on Saturday, Rance is a highly underrated player. Ryder will always be the player people want to talk about and watch, but maybe it’s time for Rance to be recognised as the best of Wairarapa’s current active players. Forgetting Seth’s highly underrated talents as a cricket player, he is a genuinely a cracker bloke. Not only has he helped out at a number of Greytown junior cricket trainings, but he also took a couple of the Greytown juniors that were at a CD T20 match at Mclean park on to the pitch and into the changing room to meet the players after the match….A true ambassador to the sport…something other players should take note of!